Most people probably believe that they’re in control of their online security—after all, it’s an essential aspect of modern computing. But it never hurts to check, does it? Unless you can answer “Yes” to these questions, you aren’t as safe as you think you are. 1. Have You Tweaked Your Social Media Settings? By definition, social media isn’t the most private place on the web. Nonetheless, it’s important to make sure you take the appropriate steps to restrict who can see your information. For example, Facebook’s privacy settings Facebook's New Privacy Settings, Explained Facebook's New Privacy Settings, Explained Facebook recently made changes to its privacy settings. In this article, we explain where to find these new settings and what they actually do. Read More let you control who can view your wall, tag you in photos, message you, and so on. Similarly, you can lock your Twitter Twitter Privacy Settings You Need to Change Right Now Twitter Privacy Settings You Need to Change Right Now Here are a few insecure and unsafe Twitter privacy settings you need to change right now. Read More and Instagram accounts so only approved people can follow you. And of course, make sure you go into each social network’s ad settings and adjust the options to be as private as possible. 2. Do You Use a VPN? Your internet connection is a privacy minefield. ISPs, governments, and hackers can all monitor everything you do online. This information could then be used against you in a limitless number of ways. VPNs greatly enhance your security. They work by creating a secure, private connection between you and the VPN provider’s servers. No one else can see your internet traffic. Just make sure you sign with a company that doesn’t keep any logs. And remember, you should never use a free VPN. MakeUseOf recommends ExpressVPN and CyberGhost. 3. Are You Using an Anonymous Web Browser? Even if you use a VPN, there are still many other ways that your data is being recorded and used. One of the chief culprits is your web browser. It doesn’t matter whether you use Chrome, Firefox, Safari, or one of the many mainstream alternatives; they are all collecting data on you in some way This Is How Your Browser Compromises Your Privacy This Is How Your Browser Compromises Your Privacy Your web browser reveals a ton of information about who you are, where you go, and what you like. Here are the details it leaks whenever you go online. Read More . And that’s before you consider other security weak points in browsers like add-ons and extensions. Many add-ons require a surprisingly large number of permissions. You’re especially at risk if you manually install add-ons from the developer’s website, rather than using your browser’s official store. The solution, therefore, is to use a private browser 4 Anonymous Web Browsers That Are Completely Private 4 Anonymous Web Browsers That Are Completely Private Surfing the web anonymously is one way to protect your online privacy. Here are the best anonymous web browsers to use. Read More . Options such as Tor will route your traffic through an onion network, making it very difficult to track you. For something more akin to a traditional browser, check out Epic Browser. 4. Do You Check If Your Data Has Been Stolen? Barely a week goes by without a major hack hitting the headlines. There have now been so many that it’s impossible to keep up. Staggering numbers of people have fallen victim. When the dust settled on the August 2013 Yahoo breach, it was discovered all three billion users’ accounts had been affected. Of course, as an end-user, there’s little you can do to prevent the hack from happening. The onus for thwarting the thieves lies on the service provider. However, if you are caught up in the middle of one of these scandals, it’s essential to act swiftly. One of the best ways to find out if you’re a victim is to sign up to Have I Been Pwned. The free service will automatically alert you if your email address is part of a data leak How to Check If Your Online Accounts Have Been Hacked How to Check If Your Online Accounts Have Been Hacked Most data leaks are due to account breaches and hacks. Here's how to check whether your online accounts have been hacked or compromised. Read More . If you get an alert, immediately change your password on the affected service as a well as any identical/similar passwords on other apps using the same email address. 5. Are You Running Antivirus Software? Arguably the most well-versed in antivirus software are Windows users. 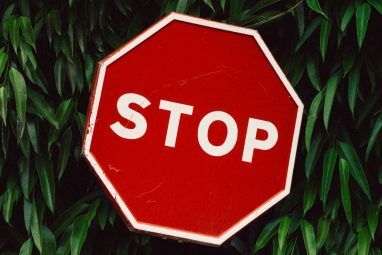 Despite recent improvements, Windows Defender has spent most of its life as a thoroughly unsuitable tool, forcing Windows users to look elsewhere. However, there remains a surprisingly large number of Mac and Linux users who believe they don’t need to run an anti-virus app. 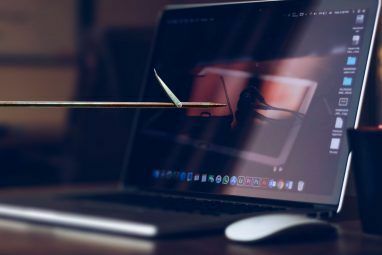 Nothing could be further from the truth—both operating systems have suffered from malware 5 Easy Ways to Infect Your Mac With Malware 5 Easy Ways to Infect Your Mac With Malware You might think it's pretty difficult to infect your Mac with malware, but there are always exceptions. Here are five ways you can get your computer dirty. Read More . 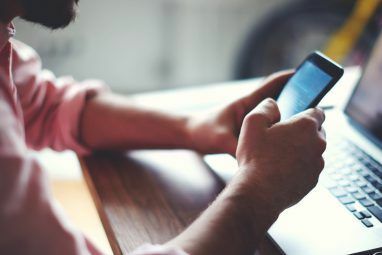 By the way, Android and iOS also have good security apps available 8 Great Android Apps That Protect Your Privacy and Security 8 Great Android Apps That Protect Your Privacy and Security If you want to keep your Android device safe and secure, we recommend these apps. Read More . 6. Are You Using Open-Source Software? Proprietary software is another potential weak point in your privacy armory. With the growth of subscription-based productivity services like Office 365 and Adobe Adobe Creative Cloud, large companies have more information about your computer usage habits than ever before. Worse, you can’t even see the code to know exactly what’s being tracked and recorded. Similarly, an inability to see the code means you cannot check for any security vulnerabilities. Even if you don’t have the technical ability to see flaws, people in the wider community will. Open source software remedies these two issues. Unless you use highly-specialized software, you can almost certainly find a viable open source alternative for the apps you use every day Your Complete Guide to Living a 100% Free and Open Source Life Your Complete Guide to Living a 100% Free and Open Source Life Windows and macOS are commercial, proprietary, closed source operating systems. Linux, and its many applications, are free and open source. Want to use only free and open source software? Here's how. Read More . Even in the cases where there’s no suitable open source alternative, you can still reduce your exposure by making sure you disable any options which vow to “Collect and Send Anonymous Usage Data,” or something similar. However, you will have to do it on an app-by-app basis. 7. Do You Regularly Create Data Backups? No matter how many security precautions you take, something could still go wrong. If you’re in the wrong place at the wrong time, you could be a victim of malware, ransomware, or even just plain old petty theft. In a worst-case situation, any of those scenarios could lead to you to irrevocably losing access to your data. So, if you want to protect your data, you need to make regular backups. You have a few options available to you. You can use an operating system’s native tools, a cloud service, a home-based NAS drive, or an external drive. Each approach has pros and cons; you need to test which one works best for your workflow. 8. Do You Take Precautions on Public Wi-Fi Networks? Be honest, how many times have you checked your bank balance in Starbucks or logged into your email account in an airport? Well, it’s a bad idea unless you’re taking appropriate precautions. Why? Because out of all the ways to connect to the internet, public Wi-Fi networks are unquestionably the most insecure 5 Ways Hackers Can Use Public Wi-Fi to Steal Your Identity 5 Ways Hackers Can Use Public Wi-Fi to Steal Your Identity You might love using public Wi-Fi -- but so do hackers. Here are five ways cybercriminals can access your private data and steal your identity, while you're enjoying a latte and a bagel. Read More . Thanks to typically lax security policies, they are a hacker’s dream. They can sniff traffic almost unabated, amassing all kinds of sensitive information in the process. 9. Do You Use a Password Manager? The building block of online security is making sure you choose a secure password on all your apps and services. Typically, that means you need to use non-coherent strings of characters. Many online services can generate one for you. However, due to difficulties in remembering them, people often go for less secure options. With a password manager (such as LastPass or one of its alternatives 5 Best LastPass Alternatives to Manage Your Passwords 5 Best LastPass Alternatives to Manage Your Passwords Many people consider LastPass to be the king of password managers; it's packed with features and boasts more users than any of its competitors -- but it's far from being the only option! Read More ), you don’t need to remember your password. It will autofill the necessary fields for you. 10. Do You Take Physical Precautions? We touched on it earlier; not all computer security is about keeping yourself safe online. There are plenty of threats in the offline world as well. We all know someone who’s had a phone stolen from their bag or been assaulted for their laptop. If you’re out in public with expensive equipment, all the usual security advice applies. Don’t flaunt it, don’t leave it unattended, and don’t allow other people to use it. What other essential questions should we add to this list? Leave us your suggestions in the comments. And don’t forget to tell us how you fared on this quiz. 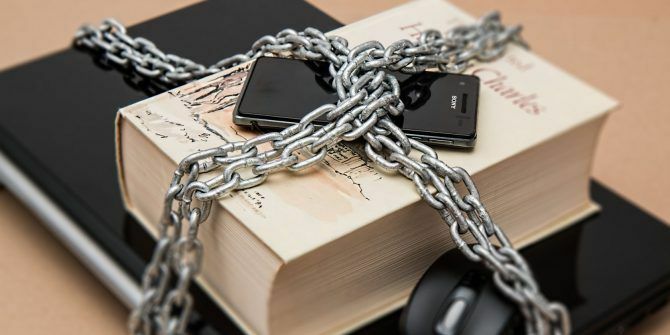 To learn more about keeping yourself safe, check our list of podcasts that help you improve your security awareness 9 Podcasts to Increase Your Online Security Awareness 9 Podcasts to Increase Your Online Security Awareness Want to find out more about online security, but don't have time to read? The answer is simple: podcasts! Here are some excellent security-focused podcasts just waiting for you to listen. Read More . Explore more about: Online Privacy, Online Security, Open Source, VPN. The problem with password managers is that when the PM password is cracked, ALL your other passwords are compromised. 11. Do you use a masked email account? Yes, I do. Unfortunately MUO does not allow the use of masked email accounts. Yup, ExpressVPN and Cyber Ghost are both good options. I went with ExpressVPN simply because it's one of the best VPNs for netflix.